Verified Supplier - Weifang Huabo Agricultural Equipment Co., Ltd. Verified Supplier - Qingzhou Bocheng Machinery Co., Ltd. Verified Supplier - Weifang Mato Jundar Machinery Equipment Co., Ltd. Verified Supplier - Weifang Shengxuan Machinery Co., Ltd. Verified Supplier - Henan Taike Industrial And Equipment Co., Ltd. Verified Supplier - Shandong Sunco Agricultural Equipment Technology Co., Ltd. Verified Supplier - Weifang Map Power Import & Export Co., Ltd. Verified Supplier - Shandong Zhiyan Group Work Win Supply Chain Co., Ltd. Verified Supplier - Henan Dowin Machinery Co., Ltd. 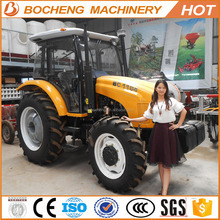 Verified Supplier - Weifang Huaxia Tractor Manufacturing Co., Ltd. Verified Supplier - Weifang Kai Ruite Agricultural Machinery Co., Ltd. Verified Supplier - Wuhan Anon Tech-Trade Co., Ltd. Verified Supplier - World Heavy Industry (China) Co., Ltd. Verified Supplier - Henan Dexing Machinery Equipment Co., Ltd. Verified Supplier - Henan Honlu Machinery Equipment Co., Ltd. Verified Supplier - Weifang Winner Machinery Equipment Co., Ltd. Verified Supplier - Guangzhou Dekun Construction Machinery Co., Ltd. Verified Supplier - Luoyang Boton Agriculture Equipment Co., Ltd. Verified Supplier - Henan Qianli Machinery Co., Ltd.
Want product and industry knowledge for "cabs for c..." ? Do you want to show cabs for compac... or other products of your own company? Display your Products FREE now!